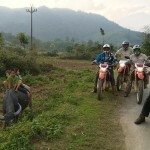 Highlights: Learn how to make quality ceramic production, enjoyable motorbike through rustic villages, and rice fields. 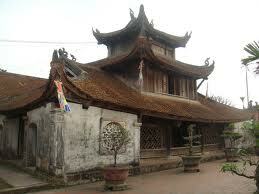 discover the custom and religion of the Viet people living in the Red river delta. 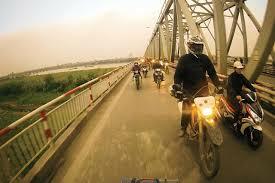 At 8:30 am, Tour departs from your hotel in Hanoi, Tour guide and staffs of Vietnam Motorbike Tour Expert will come to you at your hotel and we start the Hanoi motorbike tour from your hotel to the northeast of Hanoi to get on the Red river dike road to ceramic village of Bat Trang. We will be there after one hour riding, leave the bikes in parking area and have short walk around the village to discover the daily life of the local and learn how to make a quality ceramic/china production from the friendly people here. 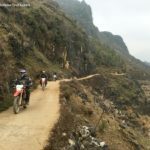 After a short Bat Trang walking tour, getting back to the bikes then we keep riding to the traditional province of Bac Ninh via some rustic villages and rice fields. Lunch si served in the casual local restaurant. In the afternoon, we will have another walk to the famous folk painting village of Dong Ho where the local make the traditional paintings/folk paintings. Each painting looks simple but it has its own meaning. Next to the village of Dong Ho there is a beautiful pagoda But Thap where you can learn more about the religion and belief of the local. After that we will motorcycle back to Hanoi, finish the interesting Vietnam motorbike tour around Hanoi in your hotel at around 4:00 pm. Please contact us for detailed price.